Galt House Hotel – Located on Main and 4th street, the Galt House Hotel has made a huge holiday transformation this year and offers many fun and exciting events to attend. You can have breakfast with Santa, sit in his sleigh in front of a green screen, ride the peppermint express train and if you want to experience all Galt House Hotel has to offer, they have created a few overnight packages with accommodations for all ages. Bass Pro Shops – It seems that every year Bass Pro does it bigger and better. It isn’t a huge light display, but they do have a lot of fun things to do for both adults and children. You can take a free photo with Santa, activity tables are setup for children to do various holiday crafts and they are giving away free backpack clips when you make a purchase. There are different clips for each week, you better hurry while supplies last! Actors Theatre – Experience once of Louisville’s biggest and best holiday traditions by watching the Fifth Third Bank’s A Christmas Carol. Blast into the past with this classic story of Scrooge and the spirits of Christmas past on the main theater stage at Actors Theatre. Your children have become accustomed to flat screen TV’s, mobile phones and tablets – bring them out to see a real-life play with music and humor. Local Christmas Light Viewing – You already know, but Hillcrest Avenue is primarily known as ‘Halloween Street’ to residents who have been here awhile. However, many of the houses also do a fantastic job with their Christmas lights and seasonal decorations. 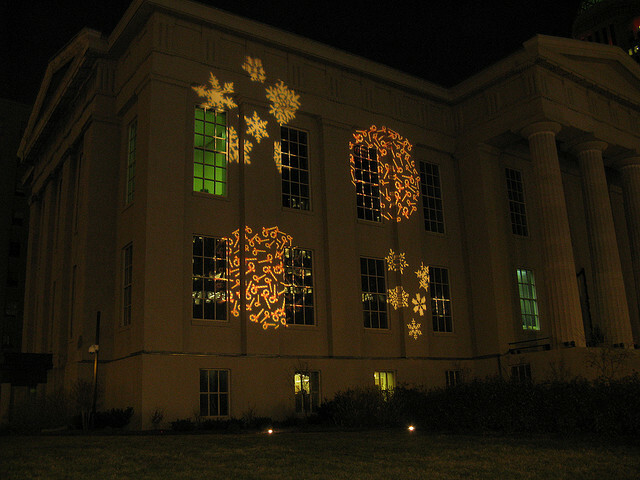 Grab a few candy canes, pack the children in the car, and head out for a few hours of driving around the town to observe some of the best lit houses around the city. Are you planning on moving to Louisville soon? Will you be heading out for some festive holiday adventures? We hope this list helped you find some things to do this holiday season, so if you’re looking at moving in Louisville soon, let us know and we can find a suitable new home for you!